Accidents happen. Whether it is oil left from a guest’s leaking car, grease from a truck repair gone awry or cooking oil from your last backyard barbecue, it is quite likely that you will someday face an unwanted stain on your paving stone patio or driveway. In most cases, you should be able to remove the stain with products you have at home or that can be easily purchased at your nearest home improvement center. When that is not the case, you can always have your driveway professionally cleaned, or you can simply replace the stained paving stones and get your driveway or patio back to looking as good as new almost immediately. Here is a step-by-step guide to help you remove grease and oil stains from pavers. Step 1: If the stain is fresh and still has liquid sitting on the surface, soak up as much of the oil or grease as possible with rags or paper towels. Step 2: If there is still a significant amount of oil or grease on your paving stones, spread conventional kitty litter over the stain and gently push it into the stain. Do not use a wire brush for this, since it can scratch the pavers. Allow the kitty litter to soak up the liquid, and then remove the litter by sweeping it up and disposing of it. Step 3: Scrub the area using dish soap, water and a scrub brush or deck brush (avoid wire bristles). It is always best to use natural products when possible, but you may find that a dish soap known for cutting oil and grease, such as Dawn, will provide a more satisfactory result. Alternatively, you can also use baking soda in place of dish soap, particularly on smaller stains. Step 4: Spray down the area using a garden hose with a nozzle. This will allow you to use a higher-pressure, direct spray to clean the area. It is possible to use a pressure washer, which may help remove the grease or oil stain better, but it is easy to damage surfaces like concrete, bricks or paving stones when using a pressure washer. These four steps will hopefully remove your grease or oil stains from your pavers. However, if these methods were not strong enough to remove the stains, there are other options. For example, you can try using oven cleaner by spraying it liberally on the stain, allowing it to sit for about 15 to 20 minutes, and then rinsing it down. However, do keep in mind that oven cleaner is filled with chemicals that are not good for you to breathe or to be rinsed into storm drains, lawns or flowerbeds. For particularly stubborn stains, you may need to make a trip to the hardware store to purchase a degreaser that is specifically made to tackle driveway stains. If you need to go this route, follow the instructions on the product to achieve the best results. Alternatively, you can have your driveway professionally cleaned. Just make sure that you use a contractor who is familiar with cleaning paving stones and knows that special care must be taken when using a pressure washer and that wire brushes should not be used. If all else fails, you can always replace the stained pavers. 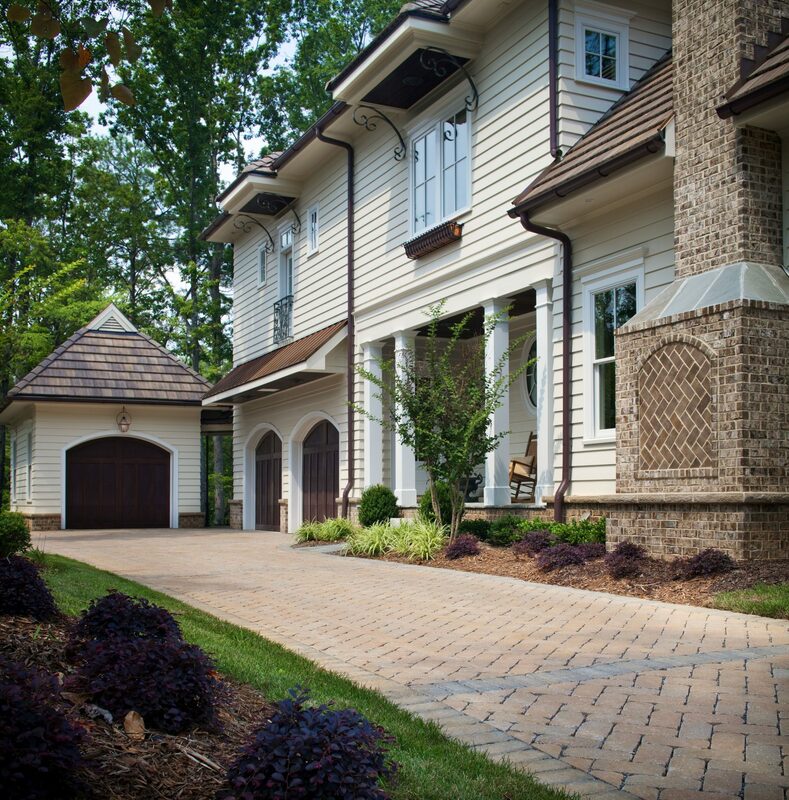 This is one of the benefits of choosing paving stones over stamped concrete or slab concrete. If concrete driveways or patios are damaged or have stains that cannot be removed, you would have to cut out and replace an entire section or slab. And, even after making this costly repair, the new section will be clearly visible, since it is nearly impossible to get new concrete to match older concrete. 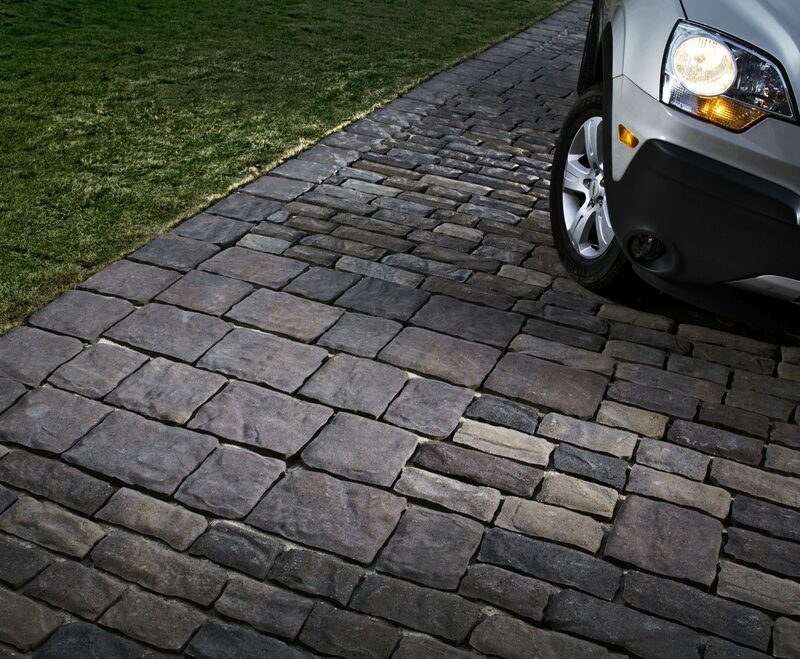 However, with a paver driveway or patio, you can easily have one or more paving stones replaced and no one will even notice.